Doomsday Clock Animation from www.thebulletin.org on Vimeo. ...and with the United States military spending on nuclear weapons growing, an article by Alan Robock at Rutgers University and Owen Brian Toon at the University of Colorado at Boulder looks at the impact of a regional nuclear war between two of the world's lesser nuclear powers; India and Pakistan. As most of us recall, in the early 1980s, science showed that a nuclear war between the Soviet Union and the United States would drastically change the global ecosystem. This concept was first proposed by renowned scientist, Carl Sagan, who published a paper in Parade magazine on October 30, 1983 entitled "The Nuclear Winter: The World After Nuclear War" which you can find here. In this model, the smoke from fires resulting from the detonation of nuclear weapons would envelop the earth and absorb sunlight, resulting in a cold, dry and dark world. This world would be incapable of sustaining plant life and would lead to the elimination of food for the human race. 2.) 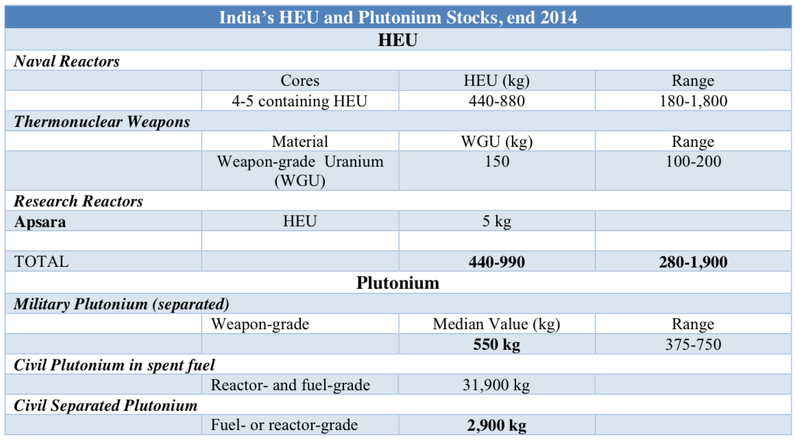 India (paper authored by David Albright et al in 2015): between 77 and 123 nuclear weapons with the most likely number being around 97. 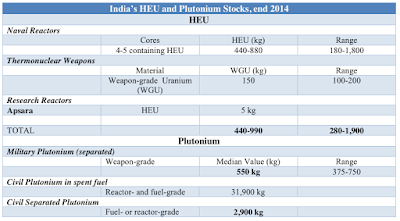 It appears that the yield of the warheads developed by both India and Pakistan is roughly equivalent to 15-kilotons of TNT, about the same as the bomb used on Hiroshima. In this conflict, the authors assume that total of 100 Hiroshima-sized nuclear weapons (roughly 0.4 percent of the world's total inventory) were detonated on cities and industrial areas in both Pakistan and India (i.e. 50 detonations for each nation). 1.) more than 20 million deaths from the blasts, fires and radioactivity. 2.) generation of three teragrams of smoke in Pakistan and four teragrams of smoke in India (one teragram equals one million metric tons). In the darker coloured areas, less than half of the sunlight would reach the earth's surface. 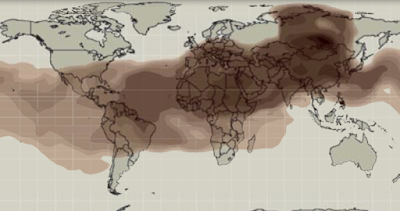 Within 7 weeks, the particulate matter would blanket the entire earth, making the skies look perpetually overcast. One of the key issues is that the smoke particles, which have an average diameter of only 0.1 microns, would rise to the stratosphere. This layer of the atmosphere never receives rain meaning that the microscopic particulate matter would have to slowly settle out by falling towards the earths surface. 2.) global average cooling of 1.25 degrees Celsius or 2.3 degrees Fahrenheit - ten years after the nuclear exchange, temperatures are still 0.5 degrees Celsius cooler than normal. Cooling would be more severe in middle and high latitudes in both the northern and southern hemispheres. 3.) ten percent reduction in global precipitation levels - this is due to the reduction in sunlight which reduces the amount of evaporation, weakening the hydrologic cycle. Drought was largely concentrated in the lower latitudes (i.e. closer to the equator) with the volume of Asian monsoon rains falling by as much as 40 percent. 4.) the temperatures in the stratosphere would rise by more than 50 degrees celsius because the concentration of black smoke particles would absorb sunlight. This heating would change the stratospheric wind patterns, carrying ozone-destroying nitrogen oxides into its upper levels. The combination of higher temperatures and higher nitrogen levels in the stratosphere would reduce ozone at surface levels, allowing increased ultraviolet radiation at ground levels. ...we cannot rule out a scenario where humankind's destiny is changed forever even if a relatively small nuclear exchange occurs in one small region of the earth. Yes, there's evil in the world. How do we deal with it, you ask?